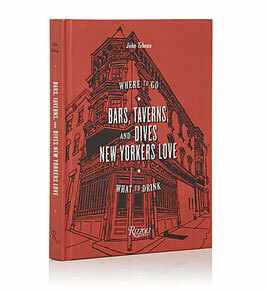 With charming original illustrations, this book celebrates fifty of the Big Apple’s storied taverns, legendary dives, and bars INCLUDING THE BRONX BEER HALL and the drink recipes that will inspire you to become a regular. For cocktail enthusiasts and those seeking the most real New York watering holes, this is a comprehensive guide to the city’s legendary bars, taverns, and dives across all five boroughs, featuring stories, insider tips, and delicious cocktail recipes. From McSorley’s in the East Village and the West Village’s Ear Inn, to Bohemian Hall and Beer Garden in Astoria, Queens, and The Bronx Beer Hall in Belmont, The Bronx, this book spans New York’s five boroughs, each entry combining an intoxicating mix of history, local color, and city lore. It includes tips like the best times of day to visit, or whether to choose bar or table, along with signature cocktail recipes, and witty sidebars on topics such as day drinking versus night drinking. Painting an intimate picture of each featured place accompanied by charming illustrations, this book stands out from typical New York City guidebooks on the market and will interest New York City tourists and natives alike, as well as cocktail enthusiasts and general bons vivants.